In July 2012 I propagated 14 Hazelnut suckers from Hazelcombe Farm into pots and purchased an extra 10 from Woodbridge Fruit Trees. These trees now with roots established are ready to be planted out to start my nut orchard. Holes should be dug and prepared a couple of months before planting. It is optimal to prepare holes a few months in advance but life has its hurdles and I must go with the flow, so the best I could do is to start my excavation in late May to be ready for planting between July 23rd and 27th. 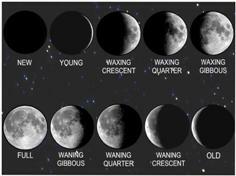 This week see a Waning Gibbous Moon – best time to be planting fruiting trees. Holes are to depth twice the root ball – so about 400mm and 27mm in diameter and are filled with a compost manure mix and watered in with fresh water then a bucket of diluted Molasses. I managed to find a local livestock transporter who has a sheep manure bay that he is happy to share. To my delight the rotting manure is full of earth worms, so I am adding a shovel full of this to the top layer of matter in the holes. Cardboard is laid down around hole and all of it covered with mulch. All holes are being dug by hand using a crow bar and shovel with much good intentioned mindfulness. The Hazelnuts are settling in and putting on lots of new growth. The challenges are hot winds and lack of rain, so I have fitted hessian sacks to the mesh guards of the most wind effected trees. Watering regularly once a week via irrigation lines. We had a really wet winter in 2016 and I suspect the Hazels benefited. Some plants put on a lot of growth. I replaced a few dead plants with new suckers taken from existing plants in the orchard. Gave most a prune in mid Winter too. Pretty happy with how they have developed. Hi Dylan, well all I can say is that they are still alive and growing at a somewhat conservative pace. Will try and get you a pic. They are starting to lose leaf now in Autumn. new pics Dylan …. nuts! looking great! Do you interplant any of your fruit and/or nut trees with legume trees/ bushes/ groundcovers to aid in nitrogen sharing?